The BBC has today published a report by PwC into the broadcaster’s failed Digital Media Initiative (DMI), which cost it almost £100m. PwC concluded there was no single event or issue that caused the project to fail. But serious weaknesses in project management, reporting, lack of focus of business change and piecemeal assurance arrangements were cited as the reason it took the BBC so long to realise the DMI was unlikely to deliver its objectives. The report states the project lacked an executive steering board (ESB), which could effectively challenge the progress of DMI against agreed quality, time and cost metrics. The DMI also failed to provide clear and transparent reporting on its progress, cost to complete or delivery of benefits, which would have helped with effective decision making to steer the project. Following the report's publication, the BBC Trust said it wanted to be clear about the mistakes that were made to ensure they would not be repeated in future large-scale projects. The Trust said it wanted the process to make the organisation more transparent. The Trust has now asked the Executive, which is responsible for running the BBC and managing its projects, to implement PwC’s recommendations on project management and review progress as part of the BBC performance review in 2014-2015. 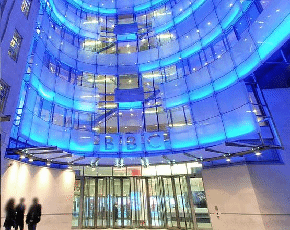 In May 2013, the BBC decided to axe its £98m Digital Media Initiative (DMI). The project was intended to link digital production tools with a central, digital archive for BBC staff to access throughout the production process. Originally the contract was awarded to Siemens in 2008, but was brought back in-house after the supplier failed to deliver the technology and it began to hit large delays. ﻿Dominic Coles, the BBC's director of operations, said in reaction to the PwC report: "While the BBC has a strong history of delivering complex projects such as BBC iPlayer, the digital Olympics or major property moves, we got this one wrong which we regret. We know it is vital to spot problems early, which is why we have overhauled how these projects are run to ensure this doesn't happen again." The project head and CTO John Linwood was suspended at the time the project was announced as a failure. Today, the BBC said it couldn’t comment on Linwood’s professional situation as it was still an “on-going process”. The PwC review did not investigate the failure of the specific DMI technology. A technical review was carried out by Accenture in 2012, which led to the project’s closure. The BBC said the National Audit Office (NAO) is also currently reviewing the failed project, and a report is expected in early 2014. But the BBC Executive responded to the report in a statement saying the BBC will continue to develop new technologies.